It's the start of a new month which means its time for a reflection on my favourite products throughout February. This month none of these things were 'new' to me but more rediscoveries, I'm trying to make the most of the collection I have and am enjoying getting reacquainted with things I forgot about, oopsy. You may notice a wee theme this month, a lot of these products are cheek related but we'll roll with it because thats what I've been enjoying! 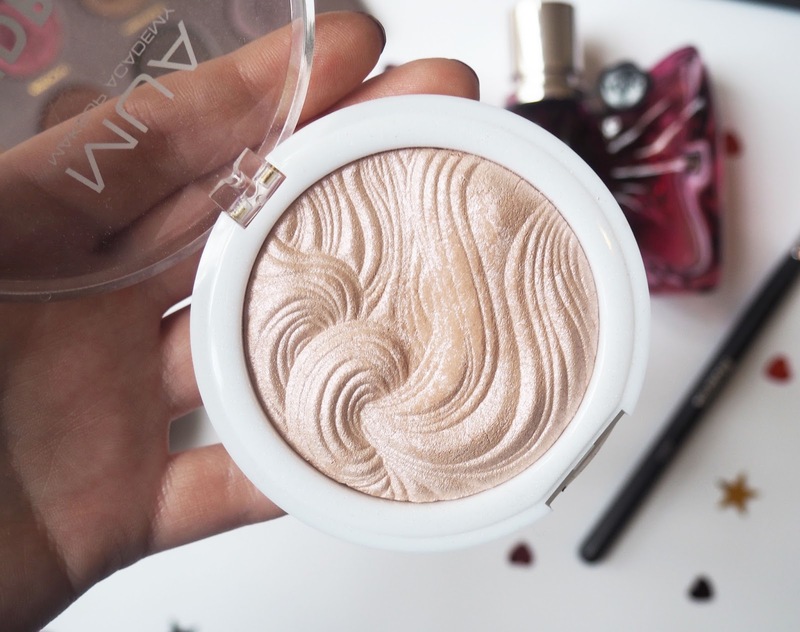 I've had the Kat Von D Shade and Light Palette for a while now and I spoke to you recently about how its always a part of my night out make up routine. Whilst I was working on that post I thought more and more 'erm why do I save such a great product sitting here that I don't use very often? ', very silly of me I know so I have spent some times righting my wrongs and getting to grips with it. As I said before, the two darker shades on the right don't get any use from me but the other four colours I have been very much enjoying for setting and contouring. I feel like I've used this a fair bit now and am still yet to make a dent, the powders are just so well pigmented that a light hand does the job. I am a sucker for a bargain make up product and the MUA Undress The Skin Highlight in Pink Shimmer has been floating my boat. First up its £3.... yep, £3, the cost of a meal deal! This gives such an intense, pink glow to the skin, in some lights it even looks a little iridescent. This is just proof that you don't have to spend tonnes on an expensive product to get a good result. I think there are a few more shades in the range so I may need to do a little investigating and investing. Speaking of hightlight I have a new favourite brush to apply them with- the Morphe M501. It's just the right size and tapered shape to get the most precise highlight application. I've been using this on my brow bones, cupids bow and cheek bones which it works absolute wonders on. I have a few Morphe brushes and think the quality is really good, they always wash up nicely and don't break the bank. 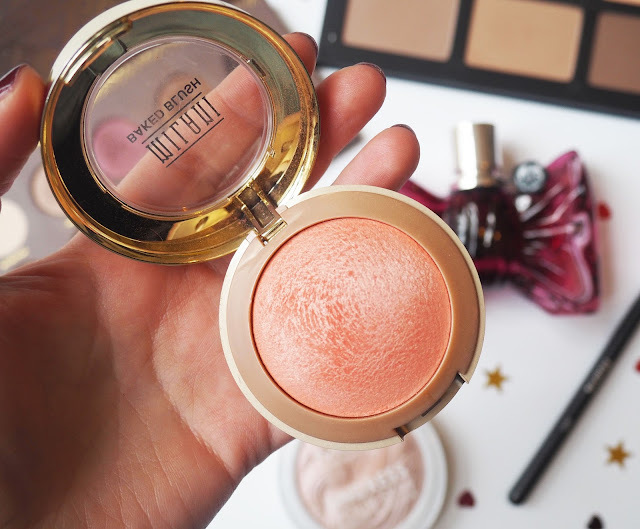 Milani Baked Blush in Luminoso has been rocking my blush world. This is so beautiful let me tell you, I love that it gives a natural glow to the skin and makes you look very luminous (well I guess the clue was in the name). It's a peachy, orange shade and with Spring just around the corner I can't see this leaving my day to day make up bag any time soon. Milani do blushes so well don't they? 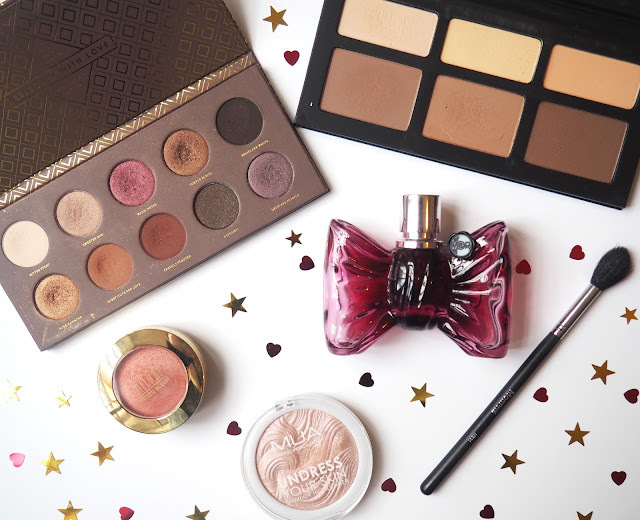 To be honest the Zoeva Cocoa Blend Palette has never not been a favourite for me, its common knowledge that I am obsessed with this thing, but this month in particular it really had a strong presence in my make up routine. For me its a combination of the colours and formulas that make this such a reliable all rounder. I used to have a little prob with this as it creased on me but since I've been pairing it with the NYX HD Eyeshadow Primer I have not had that issue. I have done a full review on this previously so won't continue to sing its praises too much longer but in summary.... you need this in your life. I have been spritzing Viktor & Rolf Bonbon like there is no tomorrow, I just can't get enough of it. It's a caramel based sweet scent and this is one of those ones that actually lingers for such a long time. I don't know why but this perfume just makes me happy, I love getting a little whiff of this throughout the day. I wouldnt say this is for everyone but in my opinion it smells so damn good so if you haven't I would definitely recommend a sniff. That's it for Feb, as always let me know if you love any of these products by leaving a comment!